Good morning, hope everyone has been enjoying their weekend so far! I have. Spent yesterday running errands and stocking the house with groceries for my departure next Wednesday. Where am I going, you ask? Well, let me tell you, I am headed out to the air port all bright and early to fly myself away to Florida for Stampin' Up! Leadership training and to have fun, fun, fun with my friend Breelin. We are going to have an awesome time! 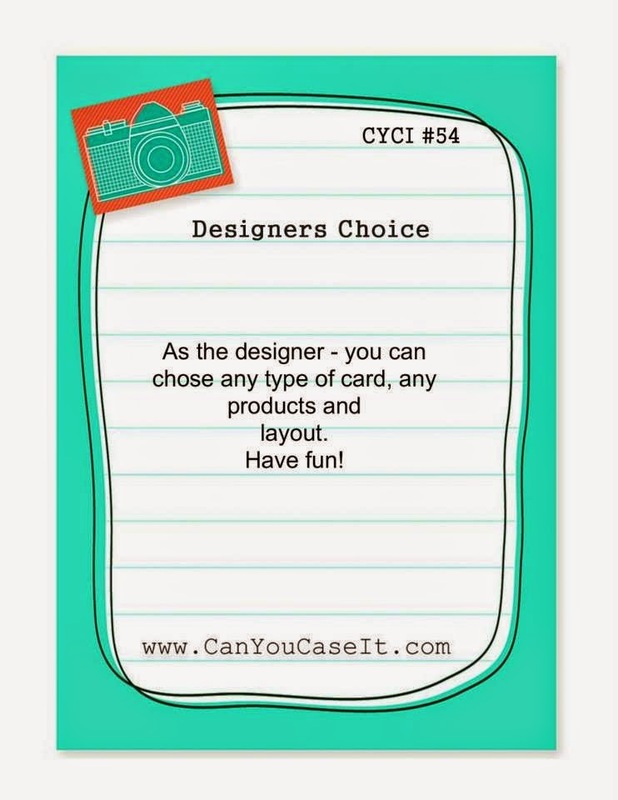 Now back to today, today I am sharing my project for the Designers Choice Challenge at Can You Case It? So put your thinking caps on, grab a sketch, color combo, its your choice. Create that fun project of any kind and link it up to our challenge! I do love my Stampin' Up! supplies but sometimes I do like to pull out some of my other toys and mix them up together! 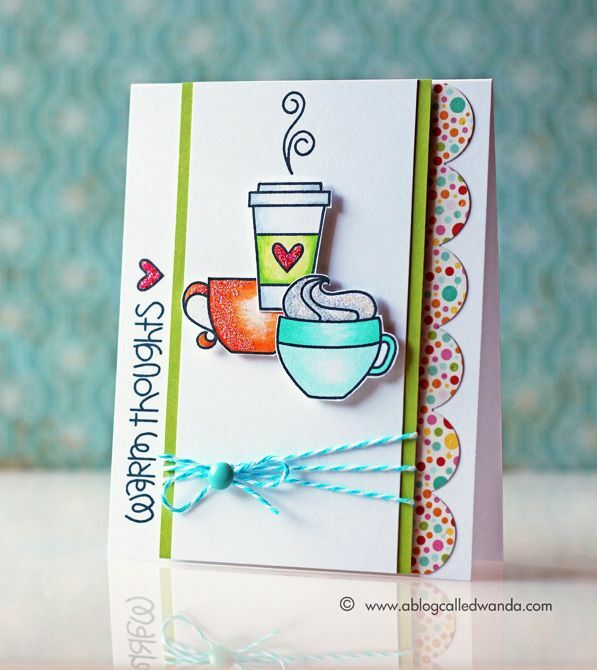 One of my favorite contraband stamp sets is the Perk Up coffee themed stamp set by My Favorite Things. 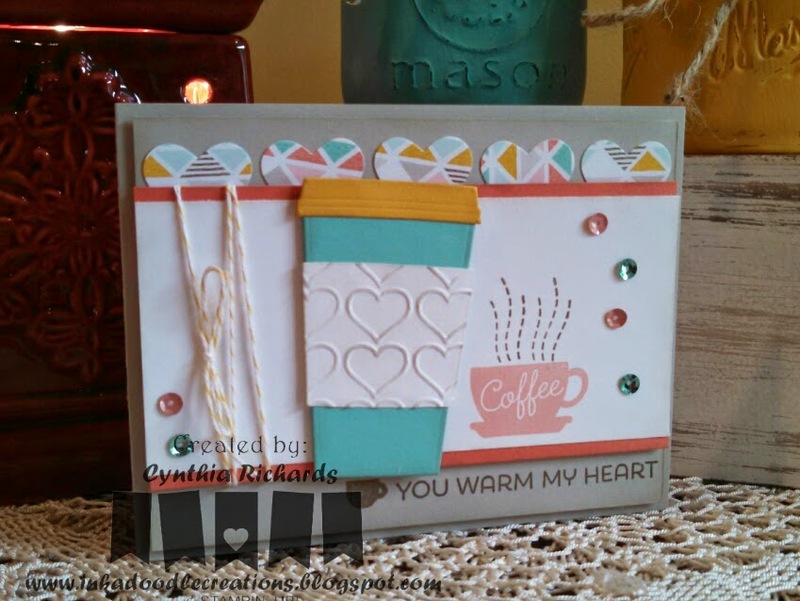 It has a lot of different coffee related sentiments and it works perfect with any kind of coffee cup/mug stamp set or die cuts. I replaced her circle shapes with hearts and turned my card to be horizontal. I just love the added bling of the sequins along the sides.